Costa Rica is a traveller’s paradise. With stunning golden beaches and sprawling rainforests, there is something for all kinds of travellers. We have some insider tips that will help you enjoy the country like a local with a pinch of touristy stuff on the side! Are you ready to learn about the local expert tips that will unveil Costa Rica in a whole new light? Read on! When in Costa Rica, don’t restrict yourself to the touristy things only. Try new foods, explore local hangouts, visit the hidden beaches and forests etc. You can also veer off the beaten path and check out San Jose downtown area that pulsates with electric energy at all time. You can check out the museums in the neighbourhood or return for their spirited nightlife. There are tons of places to discover if you are willing to look beyond the popular beaches and volcanoes. Language is the biggest barrier in a new country. While you don’t need to master the local tongue, you must learn the basics so that you are able to get by. If you are too lazy to learn, then you can also download translation apps and try to communicate with the locals. Perhaps they can reveal some of their hidden gems for you to explore! This is just one of the things in Costa Rica that often slides under a tourist’s radar because they hardly ever get a mention in guidebooks! But if you are in Central America, more so in Costa Rica, then you must try their ice creams that offer you a burst of flavour. Ask the locals about popular brands that come highly recommended. Best Time of Year To Go To Costa Rica is the one that coincides with this fantastic tour! The Art City Tour happens once in every two months. The best part is that all the museums are open for free and even the transportation between them costs nothing! From concerts to exhibitions, it is one elaborate affair that you should not miss. You can check with your travel consultant to give you the next dates for the event so that you can book your trip accordingly. Costa Rica’s rainforest is the closest you will come to wilderness and nature. 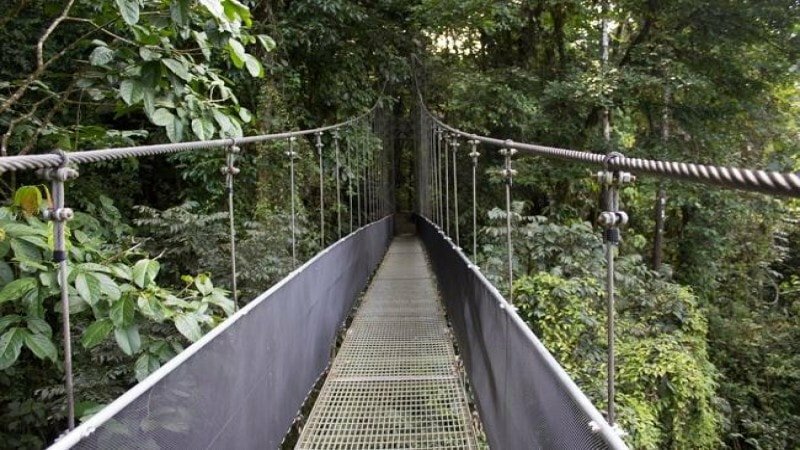 You will love the rich flora and fauna that makes the experience of exploring the rainforest a surreal one. However, while you are hiking inside the natural reserve, do not touch anything as some of these plants ae toxic and can leave you with a pesky rash. These are some expert tips that will help you plan your trip like a pro and ensure that you come back with tons of good memories!